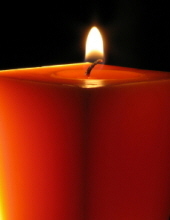 Judith Elaine Buehner, age 81, of Eaton, OH passed away Saturday, February 2, 2019 at Ft. Hamilton Hospital in Hamilton, OH. She was born December 26, 1937 in York, PA to the late Russell and Leona Wheeler. Judith was a 1955 graduate of Farmersville High School; she was a Milk Tester for over 50 years, testing milk at many of the local Preble and Montgomery County Dairy Farms; she was a wonderful cook and baker, winning many awards; and she enjoyed watching her grandchildren’s sporting events. In addition to her parents, she was also preceded in death by her stepmother Thelma Wheeler; sister Sydney Howard; brother-in-law Bob Emrick; grandson Fredrick Buehner; and great granddaughter Isabelle Buehner. She is survived by her sister Arlene Emrick of Dayton, OH; son John (Tammy) Buehner of Connersville, IN; daughter Sue (Ted) Cornthwaite of Camden, OH; son Rick (Jan) Buehner of Eaton, OH; son Jerry (Anita) Buehner of Eaton, OH; daughter Oleeda (Doug) Weimer of College Corner, OH; grandchildren: Matthew (Tracy) Buehner, Natalie (Clint) Allen, Benjamin Buehner, Hannah Buehner, Timothy Buehner, Derrick Buehner, Deron Buehner, Kelsey Buehner, Karrie Buehner, Katie Buehner, Kevin Creech and Kyle Creech; great grandchildren: Gabrielle and Sophia Buehner, James and Jacob Buehner, Kacey, Kaylee, Krystal and Kylie Creech and Greysen Giffen; and several nieces and nephews. Visitation will be held on Saturday, February 9, 2019 from 11:00 am until time of funeral service at 1:00 pm at the Girton Schmidt & Boucher Gard Funeral Home, 226 West Main Street, Eaton, OH. Burial will follow at Monroe Cemetery in Eldorado, OH. Memorial contributions may be sent to St. Jude Children’s Research Hospital, 501 St Jude Place Memphis, TN 38105. Online condolences may be sent to the family by visiting www.gsbfuneralhome.com. To send flowers or a remembrance gift to the family of Judith Elaine Buehner, please visit our Tribute Store. "Email Address" would like to share the life celebration of Judith Elaine Buehner. Click on the "link" to go to share a favorite memory or leave a condolence message for the family.